John Arthur Benedict told NBC affiliate WBBH he has never done this before and described the incident as a "senior moment." 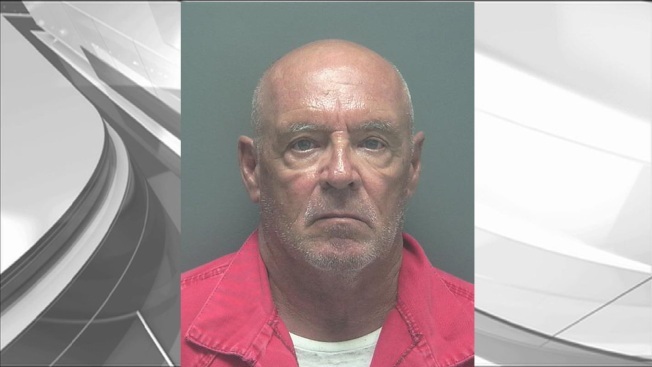 A southwest Florida man got caught impersonating a police officer Saturday when he tried to pull over a pair of detectives. John Arthur Benedict, 69, was arrested Saturday in Lee County, NBC affiliate WBBH reports. According to an arrest report, Benedict was driving a white, Ford Crown Victoria complete with strobe lights and "police interceptor" markings consistent with an official unmarked law enforcement squad car. The two real undercover detectives were driving in an unmarked car in Fort Myers when Benedict started following them and activated the blue and red lights, according to the report. The detective recognized almost immediately that the car pulling them over was not a genuine law enforcement vehicle, so he continued driving into a supermarket parking lot. Once there, the report states that deputies confirmed that Benedict was not a police officer and detained him until backup arrived and arrested him. Benedict has since been released after making bond. While it is legal to own or sell lights similar to the ones Benedict employed, it is illegal to use them on the road in Florida. "The public is not allowed to use a flashing blue or red light," Lt. Scott Lineberger of the Lee County Sheriff's Office tells WBBH. "When someone uses a vehicle that looks unmarked or displays their vehicle as a law enforcement vehicle it reduces the trust." WBBH spoke briefly with Benedict by phone. He refused to go on camera, but claimed that he has never done this before and described the incident as a "senior moment."